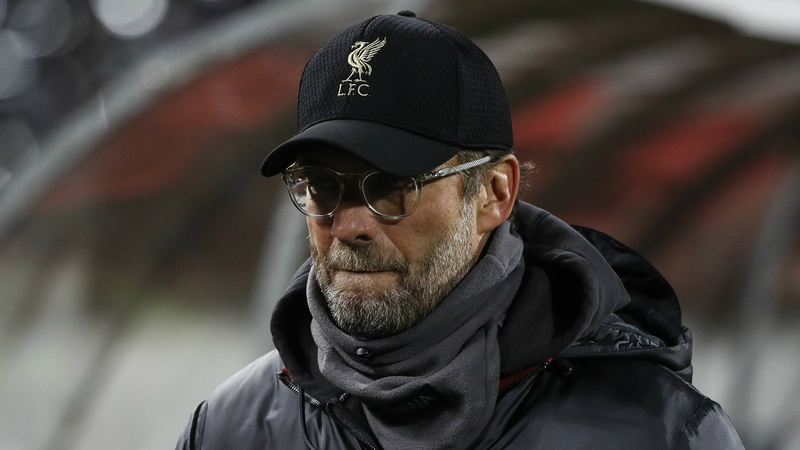 Jurgen Klopp believes Liverpool are being made to apologise for not performing in the same free-scoring style as Premier League title rivals Manchester City. Last weekend's draw at Arsenal and a shock Champions League loss at Red Star Belgrade have somewhat stalled the momentum Liverpool built across an unbeaten start in the league. An improved defence has at times covered for struggles further afield with injuries and form preventing Mohamed Salah, Roberto Firmino and Sadio Mane from rekindling the spark of last season. The Reds have been restricted to a lone goal or less in seven of their past nine matches in all competitions, in contrast to a City side that has recently hit top gear. "Everybody is searching for [fluidity]... but we are here to get results," Klopp said. "The Champions League final was last season and we were the better team for the first 25 minutes. It doesn't help now, but that's the impression people have. "We have to start again, and the other teams don't get worse. A little moan about the situation is great, but we are really ambitious and want whatever we can get. "With new signings, it sounds like automatically you win the Champions League or the Premier League or whatever. But the other teams don't sleep. They improve, and we do as well. "We have 27 points. We have to not be satisfied but see it in the right way, be positive. It's like we win a game and we have to say sorry for not winning it in a City way or whatever. "I get that, we have space for improvement, but there is no reason for any negative view." Liverpool will expect to notch their first victory in three games when struggling Fulham visit Anfield on Sunday. Klopp acknowledged a response is necessary after the disappointment of the midweek trip to Serbia. "We don't want to lose football games and if it happens you always have to show a reaction. That's clear," he said. "Tuesday was our massive knock, and now we have to react in the right way, not only on Sunday but in general."